Every kid loves blowing bubbles, even as adults we still find it entertaining. 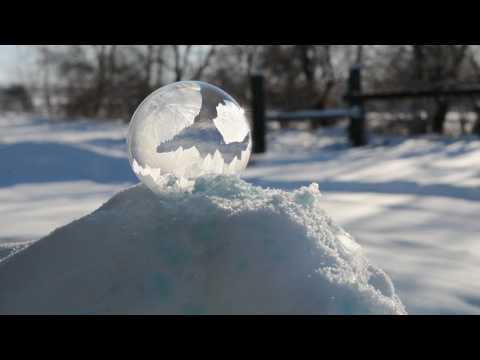 Gloria Allwin wanted to see what would happen if she blew bubbles in the freezing cold, she blew the bubble and gently guided it on top of some snow. Within a second she was amazed what was happening in front of her eyes to her perfectly round soap bubble.